Organisers of open days, special events, promotions, exhibitions and sporting events find that outdoor banners are a very effective way of getting a message across to attendees, passing traffic or footfall. 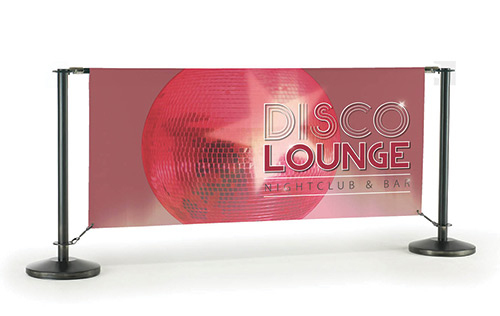 We produce banners from 2 x 4ft up to 4 x 14ft plus. Produced from weather resistant vinyl, banners can have eyelets for easy attachment to the outside of buildings, railings or standalone A frames. FAST – We can design and print in a matter of hours.